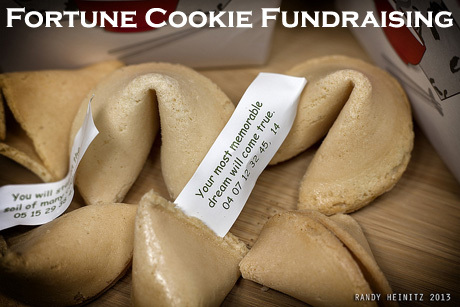 Fortune Cookies: A Fun Food Fundraiser! 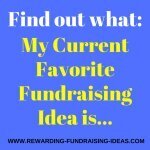 The fortune cookies fundraiser is a FUN option to your cookie dough brochure fundraising, and your ordinary fundraising cookies. 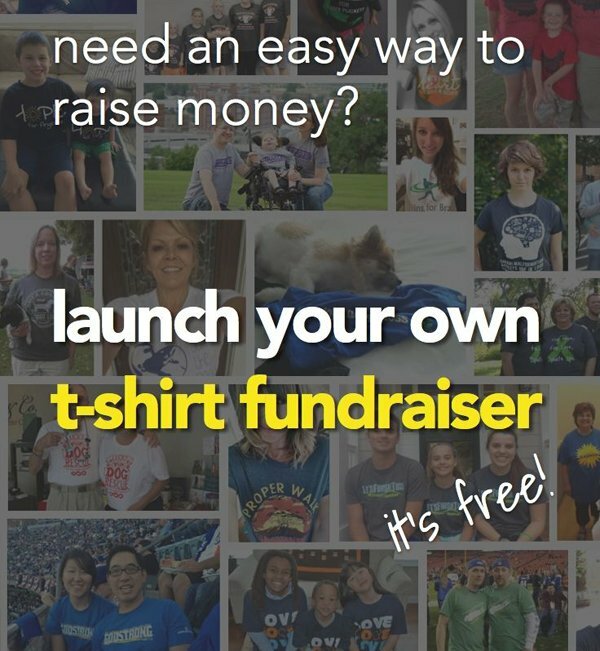 It is a simple fundraising idea that will raise awareness for your cause at the same time as raising funds! 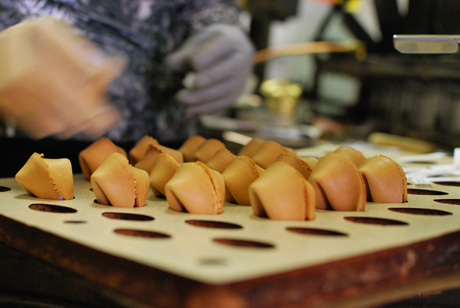 They are simply cookies that hold a slip of paper inside, describing a fortune, quote, joke or proverb. They are really meant to be a bit of fun, as people eat their cookies and then share their fortunes or proverbs, with their friends! 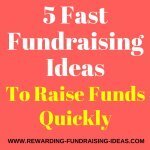 But that slip of paper can also work as awareness for your organization or cause! 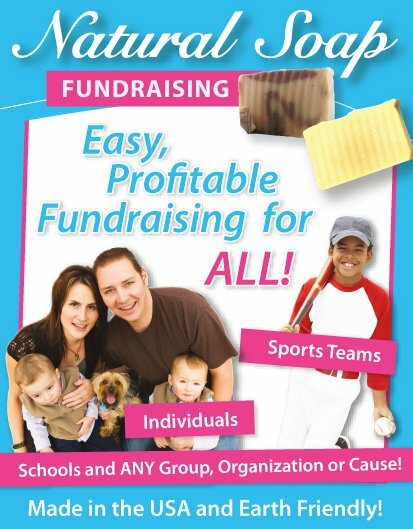 After reviewing your schedules and events, and decided whether selling these cookies will be viable (please read the fundraising cookies for more info on this), you will need to make and bake your cookies. The first decision will be whether you will bake the cookies yourself, or whether you will outsource the cookies from a baking company. And this will be to decide if you will make your own dough, or once again buy the dough in from a supplying company! 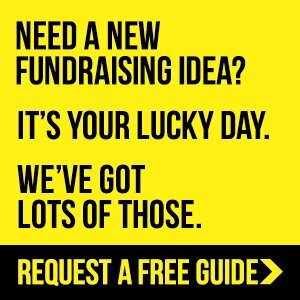 Here is the Cookie Dough Fundraising Supplier that I recommend for all American and Canadian fundraisers, for you to review. Will they enjoy finding proverbs, or maybe inspirational fundraising quotes inside their fortune cookies? Or maybe they'd enjoy some short jokes... and of course they may even want their futures foretold (The last thing I ever want to read; but that is just me!). 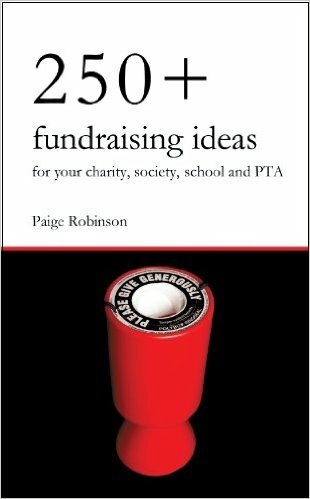 All of your fortune slips should contain some form of awareness raiser for your organization and cause. So on the back of your fortune slips add a small advertisement, with your website address and possibly your other contact details. 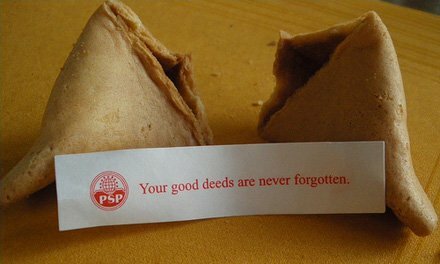 Then every time someone buys a fortune cookie from you, they will read a "fortune", as well as information about your cause! To make this work really well you should advertise something in specific. 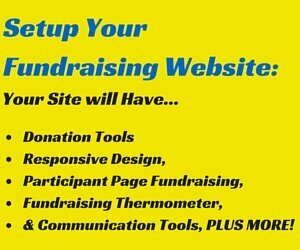 Promote your Website, Blog or Social Media accounts! Remember to use a QR Code/s for easy linking. An online raffle you are holding. 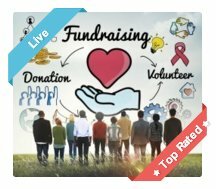 Advertise the prizes and have the URL to your specific raffle page. (Plus a QR Code). A lottery. Have numbers on the slips that people can go to your website to check against the winning numbers there! An upcoming event. Have the event location and date, and a URL address / QR Code to its web page! 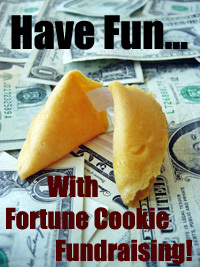 And that's how Fortune Cookies can help raise funds and awareness for your fundraising cause! 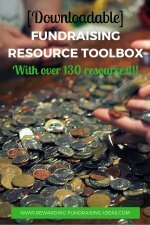 I wish you the best of luck with your Fundraiser! Then start by ordering your Cookie Dough here.